We'll start with the famous temples in Ayutthaya and then we continue to Ang Thong, a small city with Thailand's largest Buddhas and so much history. For lunch, we'll enjoy traditional-style Rice Noodles and crispy Deep Fried Wontons. Go to Wat Mahathat, an ancient temple since the 14th century, and see the Buddha head in the Bodhi tree. This place is one of the biggest highlights of Ayutthaya Historical Park. Visit Wat Phra Si Sanphet and Wihan Phra Mongkhon Bophit. The temple was the royal palace in the Ayutthaya period and there are three large chedis with the ashes of the former kings. Move on to Wat Chaiwatthanaram for its impressive architecture and art, from countless Buddha statues to prang and chedis (Khmer-style tower and pagodas). Stop at a famous local noodle restaurant. 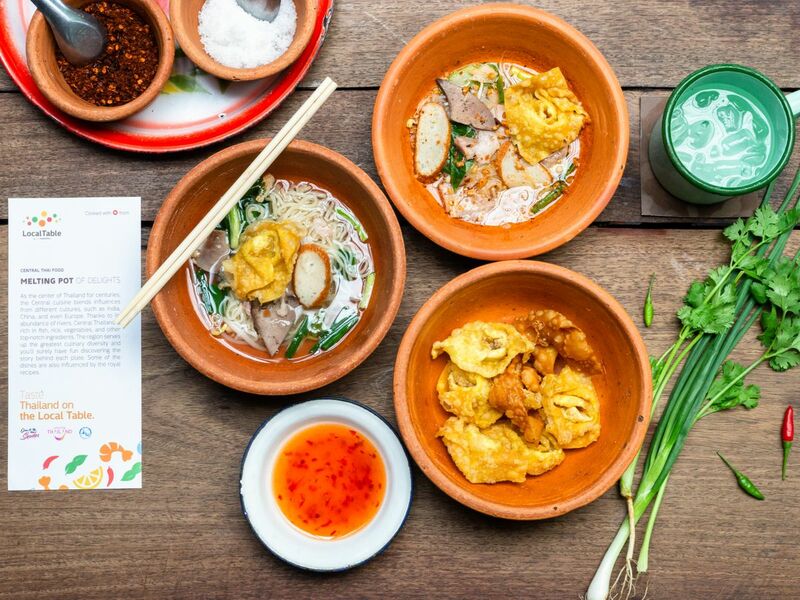 Taste their specialties including traditional Rice Noodles in Spicy Soup and Deep Fried Wontons. Drive back to your hotel in Ayutthaya and the Ayutthaya Train Station. Visit two provinces historical city in one day. Wearing polite clothes for entrance to temples .